The first thing that strikes the observer is how far the facility is located from downtown San Diego. Indeed, it’s very close to the Mexican border. Having finally arrived after more than an hour’s drive, and after going through a double electrified fence and registration, we are conducted into a room where we are given a presentation by CCA personnel. CCA — the Correction Corporation of America — is a private company making huge profits on running such centres ($227 million in 2015). With some notable exceptions, scholars have neglected the business aspects of the migration industry, perhaps due to the opaque nature of some of the arrangements between governments and companies working in the sector. Yet these aspects raise innumerable questions as to whether one can reconcile the profit-seeking interests of shareholders in such companies with human rights, as well as to what extent legislation might be influenced by powerful lobbies interested in perpetuating the detention cycle. 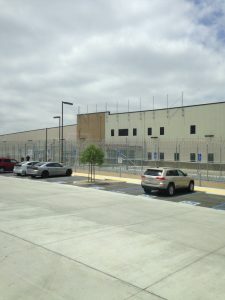 The Otay Mesa Centre hosts both detainees who have never committed any criminal offence (mainly asylum seekers and undocumented migrants), as well as those migrants – regular and irregular — who may have committed offences and who might be expelled from the country. As one would expect given the geographical location of the Centre, most detainees come from Mexico (40%) followed by Central America (21%) and far behind Pakistan (5%). We are told the remaining 34% come from different parts of the world, including of course the European Union. 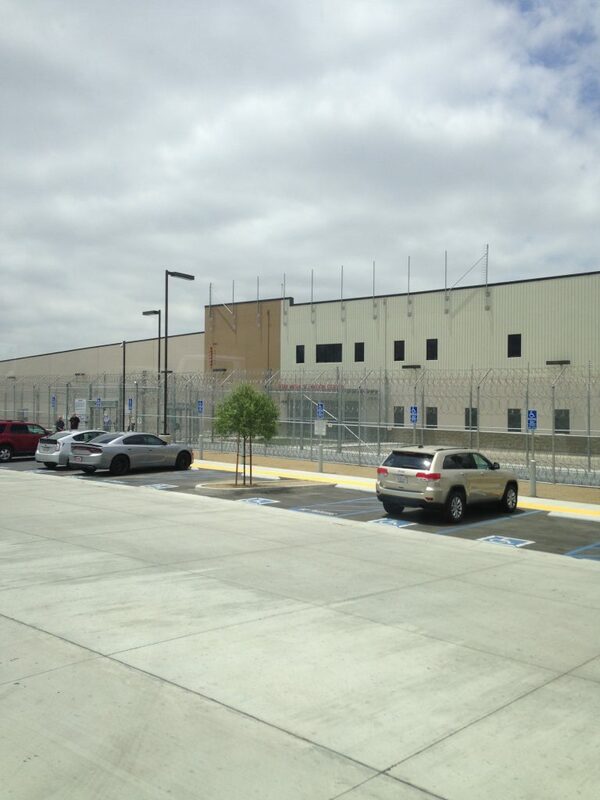 After the presentation, we are given a tour of the facility by a deportation officer, a former marine. Asked how many new detainees enter the facility each week, she cannot avoid referring to them as “bodies”. She immediately tries to correct her dehumanising terminology, perhaps realizing she is with lawyers rather than a different audience. At another point, she begins her explanation by declaring that detainees have many rights, only just falling short of saying they have too many. The Centre itself resembles a prison in every aspect, at least to someone like me who has never been to one. Detainees are divided into large rooms according to the level of danger they are deemed to pose; each group wears a different colour uniform. Contact visits are only permitted for an hour during weekends and bank holidays, though video “visits” occur more frequently. Sports facilities can be used by detainees at certain times of the day depending on the colour they have been allocated. The Centre also includes a chapel, barbershop, canteen, as well as a library which holds several legal volumes. The most shocking part of my visit is the last one. As legal students and academics, we are granted the rare privilege of witnessing several trials in which potential asylum seekers try to defend their case. We then have the chance to ask questions to the judge in charge. Only 10–20% of the detainees, he tells us, are represented by a counsellor. As he points out, this dramatically reduces their chances of a positive verdict, especially in difficult cases regarding asylum claims. This is particularly disturbing. In the EU, non-nationals in an irregular situation and asylum applicants have by and large the right to legal assistance and representation free of charge. It comes as no surprise then that, as I finally leave the Centre and board the bus which had brought us, the following message appears on the screen of my mobile when I switch it back on: Welcome to Mexico. * This post was first published in the MIGPROSP blog.